Link to the full Colorado Daily Status Report for March 29, 2018. Link to the full Colorado Daily Status Report for March 28, 2018. 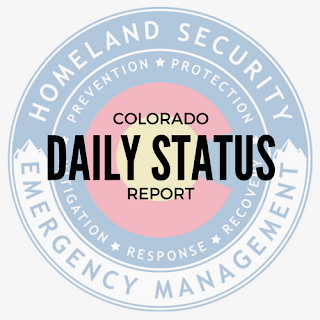 Link to the full Colorado Daily Status Report for March 27, 2018. 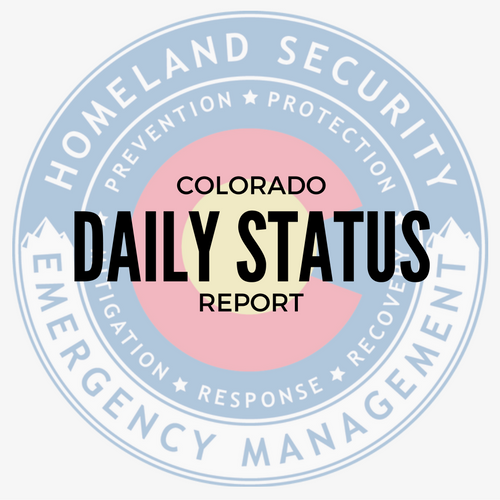 Link to the full Colorado Daily Status Report for March 26, 2018. Link to the full Colorado Daily Status Report for March 23, 2018. Link to the full Colorado Daily Status Report for March 20, 2018. Link to the full Colorado Daily Status Report for March 19, 2018. The State EOC is activated to support the Colorado OIT and DOT due to cyber incident and continues to monitor statewide weather and fire conditions. The Southeast Regional Field Manager and DFPC Fire Management Officers are supporting the Stateline Fire. 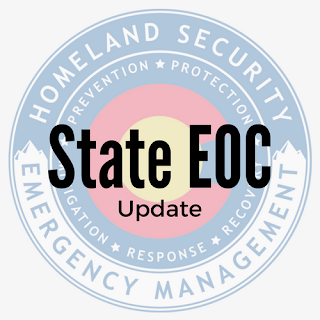 The State EOC command staff continues to monitor resource needs and fire conditions. Link to the full Colorado Daily Status Report for March 15, 2018. Link to the full Colorado Daily Status Report for March 14, 2018. Link to the full Colorado Daily Status Report for March 13, 2018. The Southeast Regional Field Manager is supporting the Stateline Fire. The State EOC command staff continues to monitor resource needs and fire conditions. DFPC Fire Management Officer, Engines 3161 & 3122, Battalion 14 and the MMA. Link to the full Colorado Daily Status Report for March 12, 2018.